You can remove individual content items from your modules. Removing a item will only remove it from the selected module. If you have included the item in other modules, they will not be affected. Click the Options icon  and select the Remove link . 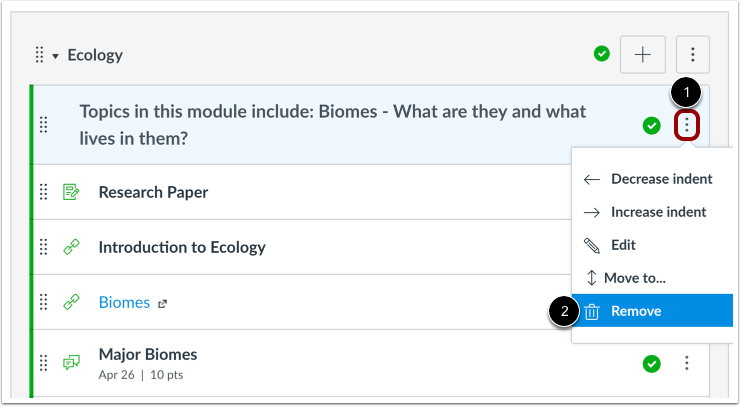 Previous Topic:How do I edit module items? 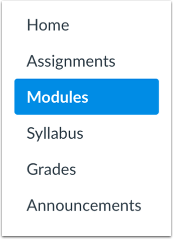 Next Topic:How do I move or reorder a module item? Table of Contents > Modules > How do I remove module items? Re: Can I remove a page from a module without deleting it from Pages?